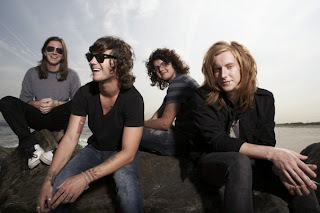 You may not have heard of We The Kings but there's a good chance you'll know their song Check Yes Juliet. This track was a big hit for this group from Florida and in Australia it was even used to promote The Amazing Race on Channel 7. Check Yes Juliet was a high energy rock track but their new single Say You Like Me is much more a pop rock track that's lots of fun - much like the video! Using a clever mix of real life & animation the video brings the boys into their very own real life video game! A great track we're really loving here - check Say You Like Me here now..!